The 2016 International Maritime Dangerous Goods (IMDG) Code outlines the requirements for shipping dangerous goods internationally via marine transport. 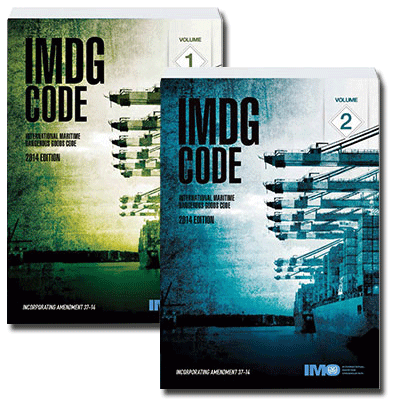 The IMDG Code is amended and published every 2 years International Maritime Organization (IMO). Use of the 2016 IMDG Code can be applied on a voluntary basis starting January 1, 2017 and is mandatory as of January 1, 2018. The IMDG code has been developed through years of regulatory changes and input from both the International Convention for the Safety of Life at Sea (SOLAS) & the International Convention for the Prevention of Pollution from Ships (MARPOL). Observance of the IMDG code ensures compliance with marine transportation of dangerous goods and additionally incorporates mandatory provisions of SOLAS and Annex III of MARPOL. The Code details requirements for specific dangerous goods, such as packaging & labeling, documentation, placarding, stowage, & segregation. 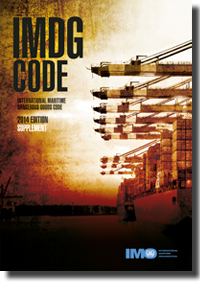 The 2014 IMDG Code Supplement - the most current version - is also available and details Emergency Schedules (EmS) for dangerous goods incidents (Fire & Spillage) aboard ships. Description: The 2016 International Maritime Dangerous Goods (IMDG) Code lays out the regulatory framework for all aspects of handling dangerous goods and marine pollutants by sea transport. The 2016 IMDG Code may be applied on a voluntary basis starting January 1st, 2017, and its use is mandatory as of January 1st, 2018. Description: The International Maritime Dangerous Goods (IMDG) Code lays out the regulatory framework for all aspects of handling dangerous goods and marine pollutants by sea transport. The 2014 IMDG Code may be applied on a voluntary basis starting January 1st, 2015, and its use is mandatory as of January 1st, 2016. 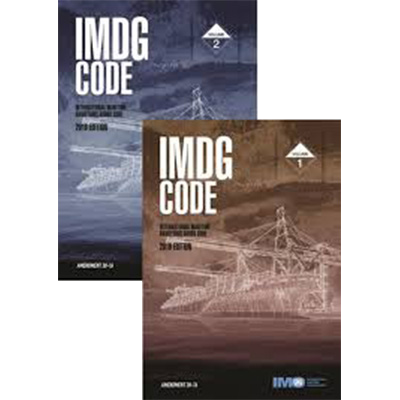 Description: The 2014 edition of the IMDG Code Supplement - current to 2017/18 - includes details of procedures for packing of dangerous goods as well as actions to take in the event of an emergency or accident involving personnel who handle dangerous goods. The supplement includes: The EmS Guide; the Medical First Aid Guide; the IMO/ILO/UNECE Guidelines for packing of cargo transport units; and other appropriate resolutions and circulars pertaining to the marine transport of dangerous goods.